Still haven’t bought all your Christmas presents? Don´t know what to offer? No worries. 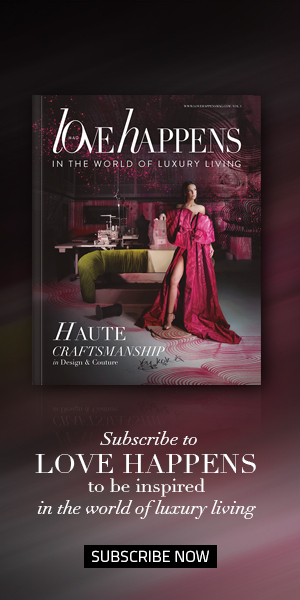 KOKET has the perfet luxurious gifts for you to offer this holiday. Also, these are the kind of presents that suit any distinct taste…and home. So, we’ve rounded up these 10 luxurious gifts for the home by KOKET, that we believe it will make your Christmas even merrier! This sconce´s tantalizing tones and exquisite patterns in the agate stones will embellish and enlight any space. KOKET’s pillows are suitable to the home of any sophisticated woman and – just like any other product of KOKET – highly desirable. Our Finland pillow is artfully crafted from natural Finland Fox skins and is exceptionally plush and luxurious due to their naturally thick under fur. Sleep sweetly with the warmth and softness that only genuine fur can give. Bold and daring, the Chandra Chair is perfectly suited for eclectic interiors and homes looking to give away a feeling of opulence. The modern edge in this chair exudes the feeling of vintage glam. Cover your floors with decadent floor rugs from KOKET. Square panels of genuine dyed cowhide are framed by a stingray embossed bovine leather border. KOKET floor rugs will keep you and your home in luxurious warmth. Get wrapped up in the rhythmic design of the ribbon dining table. The provocative twists and turns of the base are delicately adorned in gleaming metal leaf, mimicking the sheen of a girl’s hair ribbon. The most luxurious and plush fur throw to cover your bed. The pefect gift for the cold season. Inspired by the soft curves of a woman, the Kelly Sofa (2 Seat) embodys our love affair with furniture. Perfect to offer to your other-half. Indulge your inner vanities with the Guilt Mirror. The glamorous black and bold Bolvardi Bench is the ultimate detail to enhance any room. The elegant silhouette of this chandelier takes its brilliance from the skillful application of the crystal. 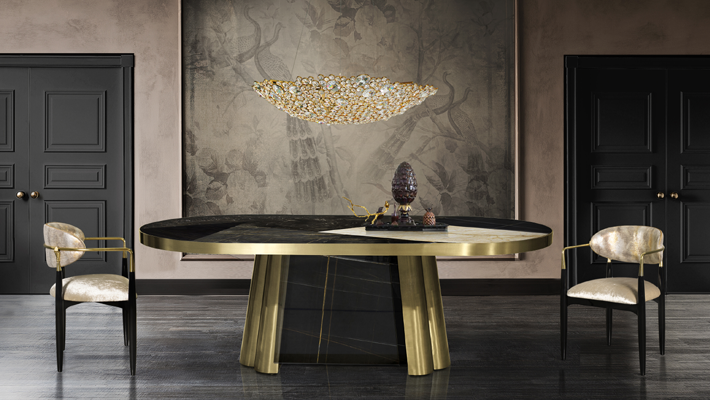 KOKET’s Eternity III Chandelier will satisfay the most exquisite taste. Which of the KOKET‘s gifts for the home is your favorite? Tell us in the comments below or share on social media! For more design inspiration, visit the KOKET Inspirations & Ideas page.